If you’re looking for a fun yet challenging way to experience Washington DC, you’re in the right place. We create exciting scavenger hunts and other events for all occasions, from sightseeing to corporate team building, student orientations to birthday parties. We make exploring the city fun, interactive, and totally seamless. Our team will work with you to make sure that the right activities are planned for your group and that there is a correct balance of fun yet challenging and often educational interests for your members. We can include food and entertainment as part of your event as well. If your group wants it, we can likely make it happen. Planning your event and getting started are really easy, just complete the form below. What is the purpose of your event (just for fun, team building, sightseeing, etc.)? 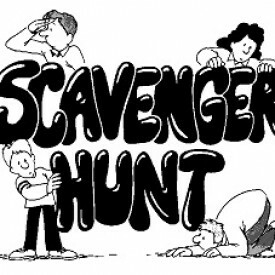 We've been producing scavenger hunts and all kinds of social events since 2010. If you're looking for a fun twist on exploring Washington, consider a Scavenger Hunt DC for you, your company or group! 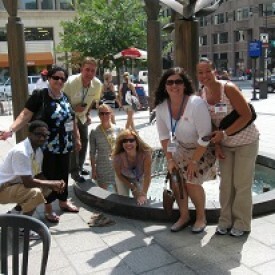 Scavenger Hunt DC can organize a corporate team building scavenger hunt for your next corporate training session. Our experience in corporate event planning will ensure a fun and productive team building experience for your company. 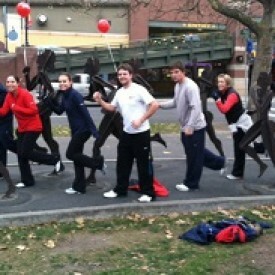 Scavenger hunts also make a fun tourism activity for sightseeing, exploring, or walking around the city. Try a challenging scavenger hunt or treasure hunt at your next meeting, off site or incentive program. We are NOT associated with the Smithsonian Institute in any way. All other Trademarks, Brand Names, Website Names and Links mentioned on this page are copyrighted by their respective owners.